A commercial Dragon spacecraft glacially approached the International Space Station on Wednesday, allowing a robotic arm controlled by Japanese astronaut Norishige Kanai to reach out and grapple the supply ship as it soared 250 miles over Africa, completing SpaceX’s 14th mission to the research complex, and the second by the same capsule. Taking navigation cues from laser ranging and thermal sensors, the Dragon spacecraft approached the space station from below, pausing at pre-planned points to allow ground controllers and station astronauts to assess the ship’s performance. The rendezvous ran about 20 minutes ahead of schedule, and Kanai, a first-time space flier more than 100 days into his crew’s station expedition, unlimbered the lab’s Canadian-built robotic arm to snare the free-flying Dragon capsule at 6:40 a.m. EDT (1040 GMT). Ground controllers in Houston and Canada took command of the robotic arm to maneuver the Dragon capsule to a berthing port on the station’s Harmony module. Sixteen bolts closed to firmly attach the supply ship to the space station at 9 a.m. EDT (1300 GMT). 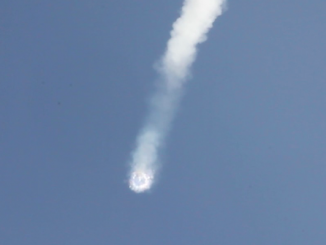 Wednesday’s arrival came a day-and-a-half after the Dragon spacecraft blasted off from Cape Canaveral aboard a SpaceX Falcon 9 rocket. 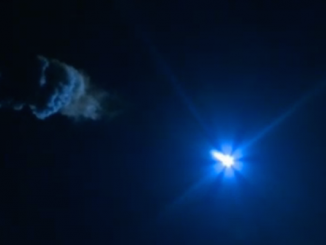 Monday’s launch flew with a previously-used Falcon 9 first stage booster, along with the recycled Dragon capsule. 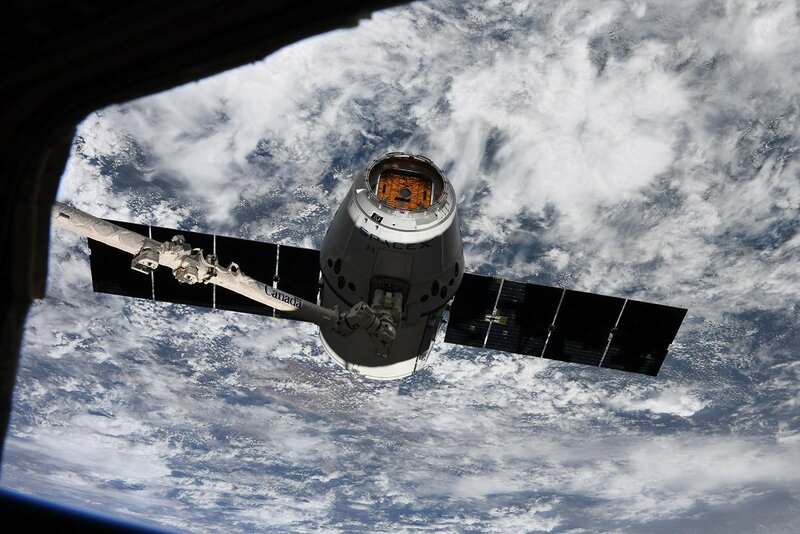 The Dragon capsule that arrived at the station Wednesday first flew on a round-trip mission to the orbiting outpost in April and May of 2016. It’s the 14th time a SpaceX supply ship has reached the space station, including a demonstration mission in 2012, and the SpaceX’s 14th full-up revenue-earning cargo mission under a more than $2 billion contract with NASA. One of those cargo flights failed during launch in 2015. Astronauts inside the station planned to open hatches between the Harmony module and the Dragon’s pressurized compartment Thursday to begin unpacking the roughly 1.9 tons of cargo inside. The space station’s Canadarm 2 arm and Dextre robot will extract three payloads from Dragon’s external cargo bay. The experiments carried in Dragon’s pressurized module include a robotic testbed satellite that will be released from the space station in the next few months to study the effectiveness of techniques to capture a chunk of space junk and move it out of Earth orbit. Developed in a public-private partnership between the European Commission and European industry, the RemoveDebris mission will test the utility of nets and harpoons to capture tumbling objects in space, repurposing devices commonly used in fishing to pluck debris out of orbit and bring them into Earth’s atmosphere to burn up. Scientists also developed experiments to look at the effects of microgravity on bone marrow and wound healing. 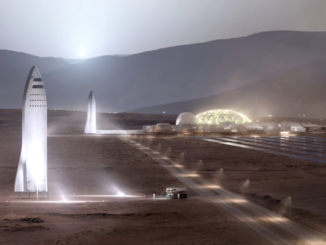 Lessons from those studies could help researchers develop ways to counteract negative health effects of long-duration spaceflight or bedrest, and investigate treatments for wounds soldiers suffer in combat. The Dragon capsule also carried frozen human and bull sperm samples to the space station, where astronauts will thaw the specimens, then add chemicals to activate the cells and allow them to become more mobile, a step required before the sperm can fuse with an egg for fertilization. Scientists prepared a new method of delivering nutrients to vegetables grown on the space station to supplement the astronaut’s diet. 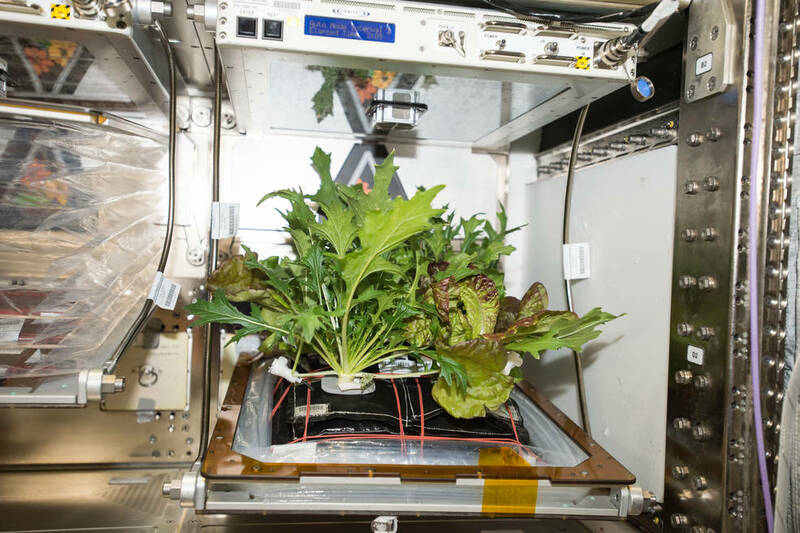 Seven new plant growth modules, developed in partnership between NASA and Tupperware Brands Corp., were delivered by the Dragon spacecraft Wednesday for testing with red romaine lettuce. There is also an experiment in sintering that could help engineers fabricate or repair tools and spacecraft components on future missions. New high-definition cameras and a custom HP printer for station astronauts also launched inside the Dragon capsule that reached the space station Wednesday. Payloads mounted inside the Dragon’s trunk included the Atmosphere-Space Interactions Monitor, or ASIM, an instrument funded by the European Space Agency and led by Danish scientists to study lightning from the space station. The instrument’s optical, X-ray and gamma ray sensors will observe electrical discharges high above thunderstorms — with names like blue jets, red sprites and elves — that extend up to the edge of space. Scientists know little about how the discharges are triggered, said Torsten Neubert, ASIM science team coordinator at the Technical University of Denmark. Lightning processes are slowed at high altitude, Neubert said, making it a good laboratory for studying how electrical discharges emanate through the atmosphere. 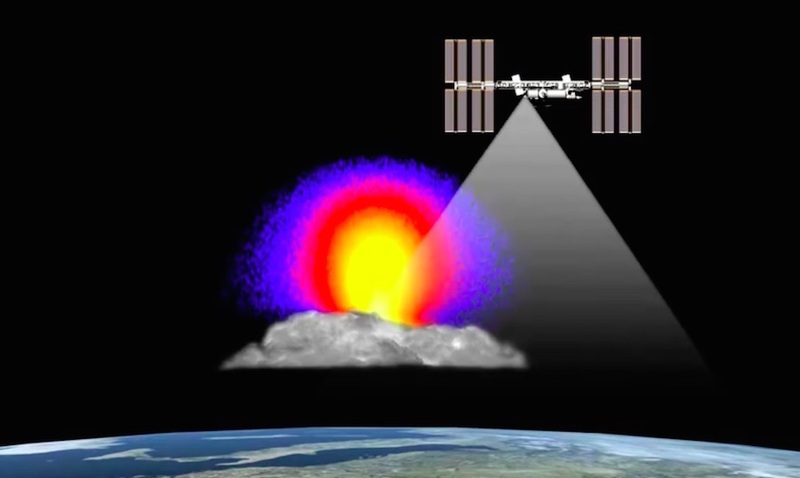 Once mounted outside the European Columbus module, the lightning monitor may help scientists pinpoint the sources of flashes of gamma rays detected coming from Earth’s atmosphere by some astronomical instruments in space. Scientists also hope to study lightning’s effects on ozone and other gases in the atmosphere during the instrument’s two-year observing campaign. Also inside the trunk: A platform to expose materials like polymers, coatings, fabrics, computer chips, and solar cells to the harsh environment of space, helping engineers design future spacecraft. The Materials ISS Experiment Flight Facility, or MISSE-FF, was developed by Alpha Space, a Houston-based company that wants to offer the platform to companies seeking to test the resilience of materials to extreme temperatures, ionizing radiation, space junk and other hazards of spaceflight. NASA is also sending up a refurbished coolant pump for staging outside the space station as a spare for the orbiting lab’s huge power truss segments. The Dragon spacecraft is scheduled to remain at the space station until May 2, when it will depart bring around two tons of scientific specimens back to Earth. Also hitching a ride back home with the Dragon will be NASA’s Robonaut 2, a humanoid robot launched on the final flight of the space shuttle Discovery in February 2011. “Robonaut has had some issues with being able to power up on-orbit … and after a lot of troubleshooting on-orbit and a lot of analysis on the ground, they’ve concluded pretty conclusively that there’s a short of some sort on one of the circuitboards, and they need to bring it home in order to repair that,” said Pete Hasbrook, NASA’s associate space station program scientist. 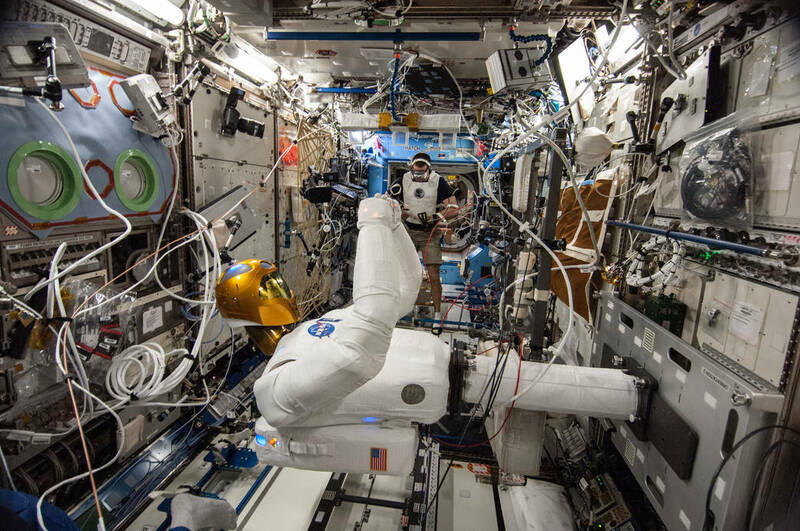 Engineers developed Robotnaut as a testbed to see whether robots could help astronauts clean and maintain the space station, an objective aimed at freeing up crew time for more intensive tasks. A SpaceX Dragon cargo capsule delivered legs for Robonaut in 2014. Robonaut could be re-launched on a future mission after the repairs are finished.